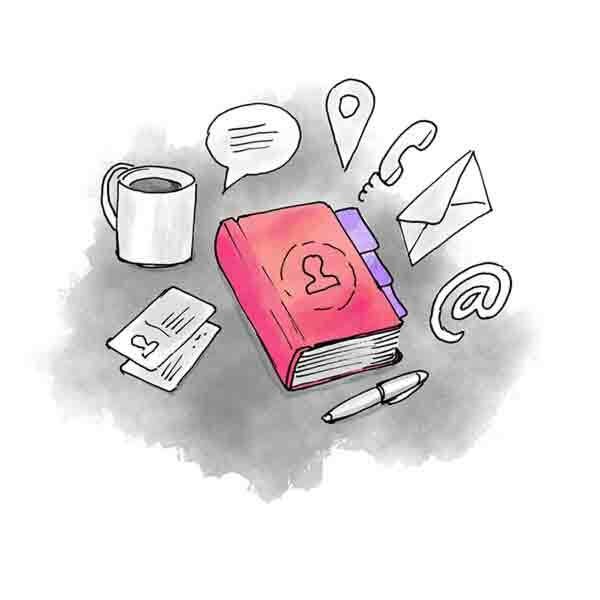 Sortio is more than a contact list — it's a directory with information from all of Sortio. Whenever you display any contact, you'll see all notes, conversations, deals, projects, orders and invoices related to it. Sortio is a contact list that knows everything. Sortio is the place to store your business contacts, share them with your teammates and use throughout Sortio. As you interact with contacts, the information is stored in their profiles. Conversations, notes, tasks, deals, projects and invoices are all within your reach. 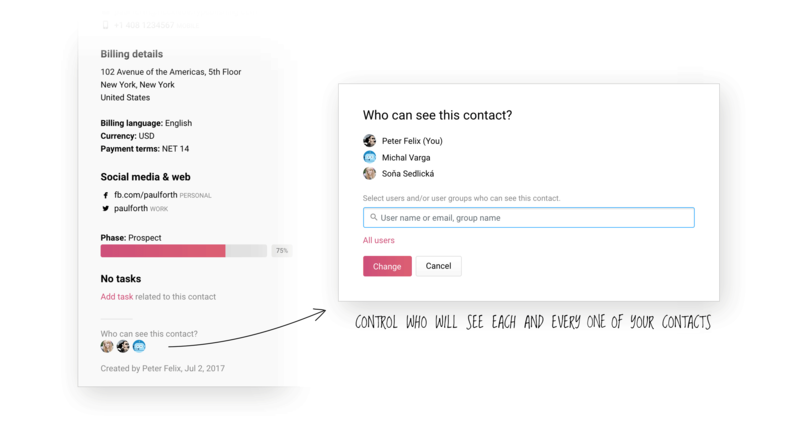 Sortio lets you add contacts of any type. You can add a company, person, or your very own type of contact, e.g. lead, client or a candidate. Furthermore, you can choose what information you would like to capture for each type. Sortio helps you find contacts faster. You can easily find contacts by name, phone, email or any other information. Additionally, you can display only a specific group of contacts — e.g. contacts without conversation, contacts added in the last 30 days or contacts without a responsible person. Sortio gives you control over your contacts. You can control who can see each of your contacts. You can make them private, shared with some of your teammates, or available to everyone in your company. However, power users will always have full access to all of the contacts, no matter if they are private or not. Sortio shows where are your clients from. Enable map view to learn where your clients and business partners come from. Sortio lets you import contacts. Are your contacts scattered across different apps? You can import them to Sortio from a vCard or a CSV to finally keep them all in one central place.